Home is where our heart is, but that also means we have a LOT of stuff and sometimes the garage just isn’t all the space we need. Well, that’s what Secure Storage is here for! No matter what situation you’re in, we have the storage solution that will clean up more than just the junk drawer in the kitchen! Our self storage units range from a small walk in closet to extra-large units that can house a car or two, so don’t worry, we have you covered. Moving Into A New Home: Now that you’ve found your forever home, your forever belongings might be causing more of a headache than anticipated. A self storage unit can help you move into your new place at your pace and you won’t have to worry about tripping over boxes. Selling Your Home: Selling your home can be an ordeal and storage can be the last thing on your mind, but your extra stuff needs a house until you have your new home. If you’re getting ready to take that plunge, staging your home is a great way to make sure it gets sold, and on your schedule. Moving un-needed items into storage is a great solution and when your house is sold, the rest can come too! 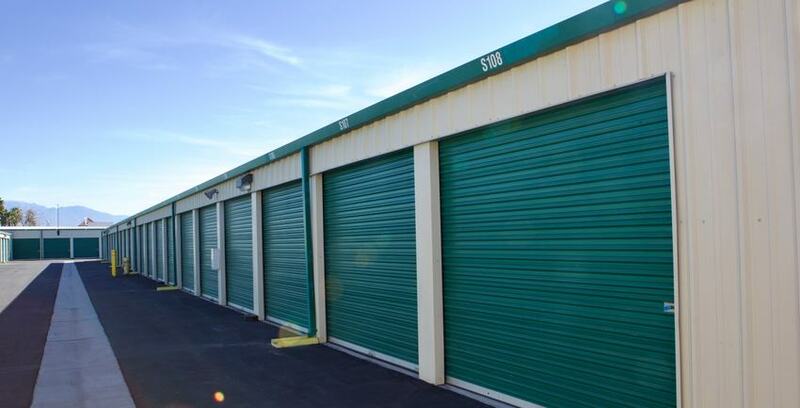 When you rent a self storage unit because you’re waiting on the perfect home to be ready or you’re making your perfect home even better, you want to make sure that you take some quick and easy steps to save you any headaches. When selecting what unit size you need, make sure that you have all of your boxes labeled on each side; it makes it easier to find what you need. When placing your items into storage, make a small walk way down the middle of the unit so that you can quickly access items stored in the back. Place what you’ll most often need at the front and less used items in the back. Need to rent a moving truck? We have those too; call your facility manager to make a reservation! If you’re using storage because you’ve collected some “extra” things and just don’t have room at home, our small to medium sized units are the perfect add on. Our units range from a small walk in closet to an extra bedroom size. Holiday Decorations: make sure they’re labeled in their box so that when you want them you can find them. Seasonal Clothes: keep them in air tight bins or vacuum sealed bags. This way they’re always clean and ready. Garage Items: if you’re storing any lawn equipment, remove the fuel first. Regardless of what you need storage for, Secure Storage has the solution for your needs. Never sign any long term agreements. We offer month to month contracts, but if you do want to pre-pay, we offer prepayment discounts! Whenever you’re ready for self storage, we’ll make your move as easy as possible with our month to month contracts, daily gate access, moving/packing/storage supplies, and moving trucks! Reserve or rent online 24/7 at www.IEstorage.com!